Undoubtedly, the most urgent task for companies today is to take a hard look at the future. To remain competitive, management must nurture a strong capability for self development and a strong corporate culture, both of which form part of the foundation for improvement. But simply understanding management techniques doesn't mean you know how to use them. You need the tools and technologies for implementation. 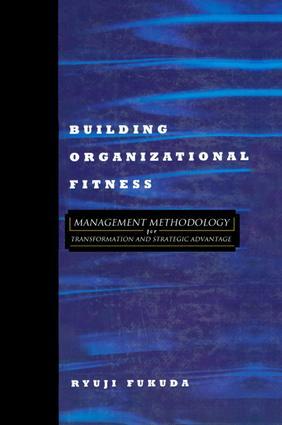 In Building Organizational Fitness, Ryuji Fukuda extends the power of his managerial engineering methodology into the context of the top management strategic planning role. Published here for the first time, the author provides information on the evolution of his CEDAC methods for use in strategic planning and implementation. The book introduces several key management technologies and describes their successful application in many Japanese, American and European companies, including: P/O (Policy Objective) Matrix, SEDAC (Structure for Enhancing Daily Activities through Creativity), Window Analysis ( a method for classifying and analyzing problem for a view point of management actions required), and Stockless Production (an approach to reduce work-in-process and lead time in an effective and easy-to-understand manner).